Sri Lanka have named a 17-man squad for the upcoming Test series in New Zealand, with Dinesh Chandimal back at the helm after an injury layoff. 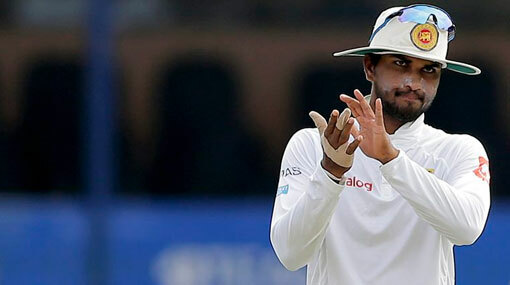 Sri Lanka were recently swept 3-0 by England at home, and Chandimal, the regular Test captain, missed the second and third Tests of the series after sustaining a groin injury in the first game. Dimuth Karunaratne, the opening batsman, will serve as Chandimal’s deputy for the series of two Tests – in Wellington from 15 December and in Christchurch from 26 December – which will be followed by three one-day internationals and one Twenty20 International. Looking at the pace-friendly conditions likely to be on offer, Sri Lanka have also brought back fast bowlers Nuwan Pradeep and Lahiru Kumara, as well as top-order batsman Kahiru Thirimanne and wicket-keeper batsman Sadeera Samarawickrama.